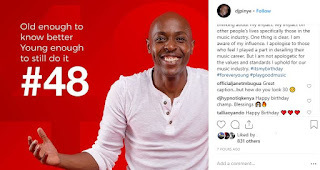 Veteran Kenyan disc jockey, Peter Chuani alias DJ Pinye, has finally acknowledged that he played a part in derailing the careers of some local music acts. 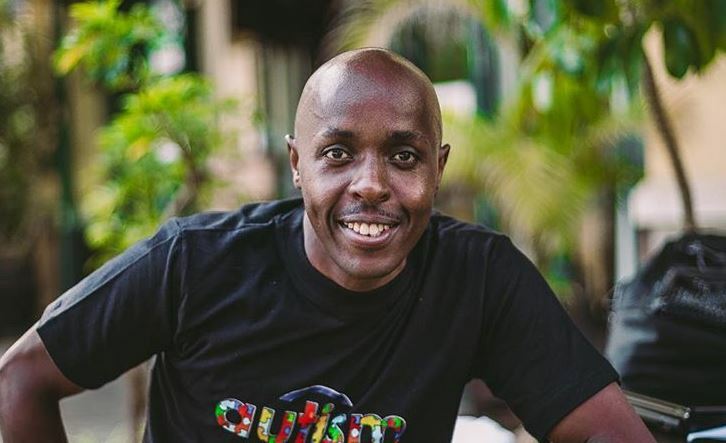 Late last year, the mixmaster ruffled feathers in the music industry and beyond when he openly confessed that he never played songs by some Kenyan musicians songs on his ‘The Beat’ show because their content was mediocre. He named now-established artistes such as the highflying Khaligraph Jones, while stating that he cannot play music by new age stars Ethic. “There are artists whose music I did not play back in the days, including Khaligraph and DNA, but their careers have grown… I cannot play Lamba Lolo or New Position. DJs shouldn’t play mediocre music,” said DJ Pinye in an interview with NRG radio. What followed was an uproar, with DNA, in particular, dropping a weak diss track dubbed ‘Kapinye’. 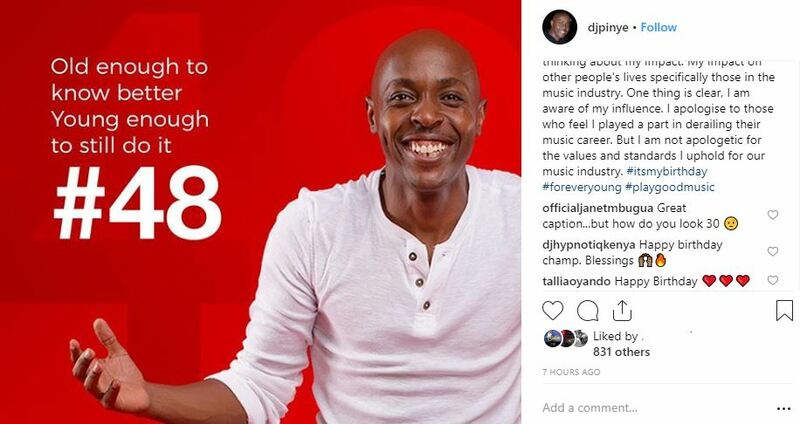 DJ Pinye has since reflected on his purported wrongdoings in the industry. He took to social media yesterday as he turned 48 years to apologize to artistes who feel their careers were derailed by his influence in the industry. “On my bdays, I usually reflect on alot of things about my life. Today, am thinking about my impact. My impact on other people’s lives specifically those in the music industry. One thing is clear, I am aware of my influence. I apologise to those who feel I played a part in derailing their music career. But I am not apologetic for the values and standards I uphold for our music industry. #itsmybirthday #foreveryoung #playgoodmusic,” wrote DJ Pinye.